Special Offer with STIHL FS 56 RC-E Trimmer Purchase: This offer is available in-store only. Contact us for more information. Welcome to Ruim Equipment Co., Inc., where the variety of outdoor power equipment is second to none. Located in South Lake County Indiana, we've been serving Southeast Chicagoland area and our surrounding communities of Lowell, IN, Cedar Lake, St. John, Grant Park, IL and Beecher, IL since 1950. There isn't a friendlier or more experienced staff than ours. We're happy to help you find either the perfect outdoor power equipment or the parts you've been looking for. 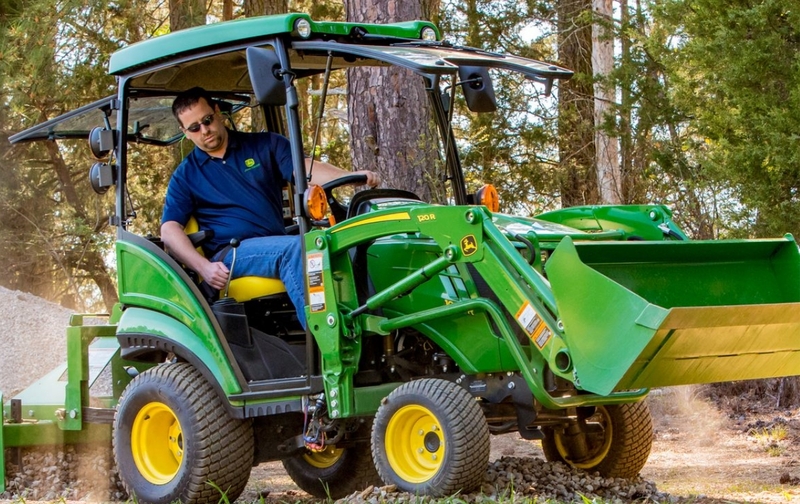 Check out our John Deere, Toro or STIHL product brochures to see what we have to offer. If you need help in making your selection, call or stop in—we're always ready to help! We are a third generation, family-owned business conveniently located in Lowell, IN. Ruim Equipment Co., Inc. can provide you with the latest and best in outdoor power products to make your outdoor living more enjoyable. Combine this wide array of selections with our friendly and knowledgeable staff, and we're convinced Ruim Equipment Co., Inc. will become your only stop for all of your outdoor power needs.